hello shining beautiful people! i hope your wednesday is going well and no one has the middle-of-the-week slump going on. and if you do, cheer up charlie, fake it for a while and then you'll feel it. i'm in a weird mood today haha, tired but happy. i'm also a tad irritated at technology, my camera has finally broken. i've had it about three years so that's pretty good, especially after having taped, glued, and industrial-strength velcro'd it within it's tiny little life. R.I.P. poor nikon coolpix! i'm going to have to borrow one from the 'rents for a while, because i definitely can't afford a new one yet. oh well, you'll be happy to know i have built up quite a backlog of swatches i haven't posted yet so i'll be blogging away just like normal. this china glaze creme polish called simply VII came out in the "X" collection where all the polishes were named for roman numerals. they describe this as eggplant but that was not really the first thing that pops into my head when i saw it haha. 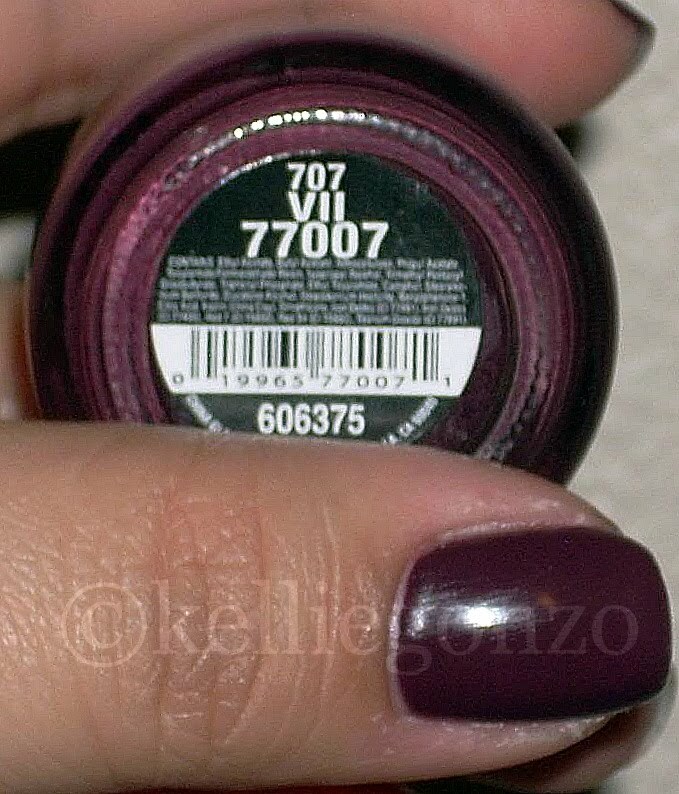 i find it more of a deep berry color, reminicient of opi's we'll always have paris. this is one of ChG's uber-cremes, almost opaque in one coat. there are some cremes that are almost like jellies, but then there are these ones that remind me more of pudding haha. (i'm off sugar for a while, can you tell i'm craving sweets??) my seche wasn't playing nice that day so it looks like there is a scratchy surface :P oh wells, still pretty eh?